If you’re a dedicated road rider like me, track riding can improve your bunch riding skills because track training forces you to ride close to others on fixed gear bikes with no brakes. It might sound scary, but training takes place in a very carefully regulated environment. Training on the track is a controlled environment that’s ideal for learning the skills required to ride safely in a group. The thing that sets the track surface apart from the road is the banking. Every time you go round that corner, you’re pushing hard on the pedals for a couple of seconds, on the same gear that also feels comfortable as you roll down the banking. Therefore, getting up the track can require an explosive effort if you’re going far and fast enough. You’ll also use different leg muscles than used in road cycling. In track cycling, successful performance depends on the most fluid pedalling motion possible. There are no gears or brakes on a velodrome bike; instead, it’s all about speed and position. As you begin to cycle more on the track, you’ll quickly learn how to use all the muscles in your leg to pull the pedal along with your motion, allowing you to push harder over the long haul. When you get back out on the road again, you’ll likely find that your rides are easier because of how much additional power you’re generating. Cycling is already excellent aerobic exercise, but track cycling takes it to another level entirely. Think about the important things, like elevating your heart rate. Track cycling will allow you to keep your heart rate elevated for longer, enabling your body to burn calories for longer as well. Track bikes have just one gear and you have to turn that gear constantly. So if you’re going to be riding an hour long training session, you can’t be pounding the sort of gear you might change up to on a road bike when you want to sprint. That means you’re going to have to spin the cranks faster. Most road cyclists would benefit from increasing their cadence. Doing so will mean you rip into fewer of your super powerful fast twitch muscle fibres, using more slow twitch muscles that allow you to keep up your effort for longer. In other words, learn to spin up the hills and you’ll be less exhausted for the next one. Once you get over the initial nerves of switching to a very different form of cycling, the fun begins. 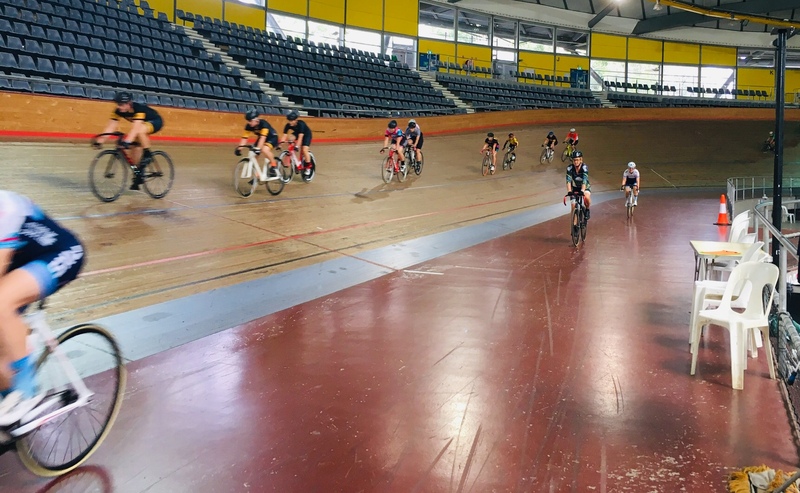 Not only will you enjoy getting to know your fellow cyclists in the velodrome, but pushing yourself here can be more rewarding because of the progress you see. Plus, riding hard through those banking turns can give you a real rush of adrenaline. Share your experiences of when you had a chance to try track cycling via comments for the Women Who Cycle Facebook page.